The Choice of professionals! 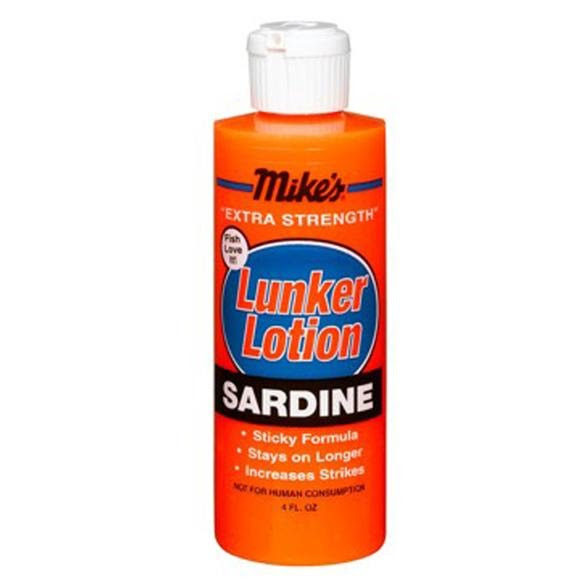 A favorite scent among anglers and guides, Mike's Lunker Lotion has earned an enviable reputation as an essential ingredient for fishing success. Special blend of concentrated scents, flavors, amino acids and neon colors combined with a super sticky formula makes this a must have for all anglers. The Choice of professionals! A favorite scent among anglers and guides, Mike&apos;s Lunker Lotion has earned an enviable reputation as an essential ingredient for fishing success. Special blend of concentrated scents, flavors, amino acids and neon colors combined with a super sticky formula makes this a must have for all anglers. Holds on lures and baits longer, resulting in more aggressive strikes and more fish. Apply directly to any lure or bait and outfish everyone in the boat! Effective in both saltwater and freshwater. Comes in an easy-to-use 4 oz. flip-top bottle.